Samsung has recently teased its fans by showing a video that reveals the Galaxy Note 8. 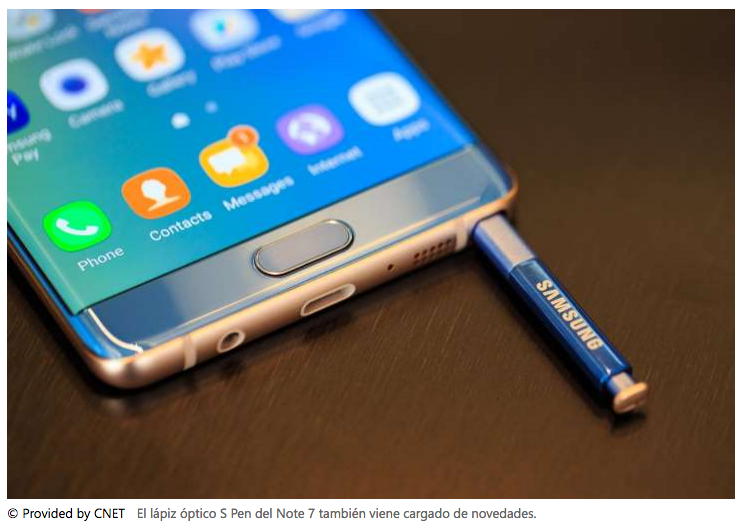 With the inclusion of many buzzwords, the small duration clip centers around the S-pen that define the Galaxy Note’s features. The animation of the S-pen is shown in blue color that flies in from the left to cross out concepts such as big pointing towards a more aspiring concept such as Bigger. The other such words like step change into leap and think turns into the word as do. The end of the video reveals the launch date of Samsung’s upcoming device as August 23rd in New York. Galaxy 8 is the Samsung’s most important phone and is considered to determine the fate of the Note line. The last year’s handset’s faulty batteries forced the company to recall all of its devices. The Galaxy Note 8 is now the only way Samsung can prove to its fans that its phones are safe and will be able to compete with the Apple’s upcoming iPhone 8 as well as LG’s premium V30. Samsung faces a tough competition not only from Apple but also from Google as it has also planned to unveil its Pixel 2 and Pixel 2 Xl. The Galaxy Note 8 is expected to have features including dual-rear cameras, a 6.4 or 6.3-inch of the display screen and also a dual SIM capability. The reports also say that the device may hold a SIM card and microSD or two SIM cards which will provide the option of expandable storage. With everything that has been rumored for Samsung Galaxy up till now, fans are anxiously waiting to see what the company actually comes up with its launch.